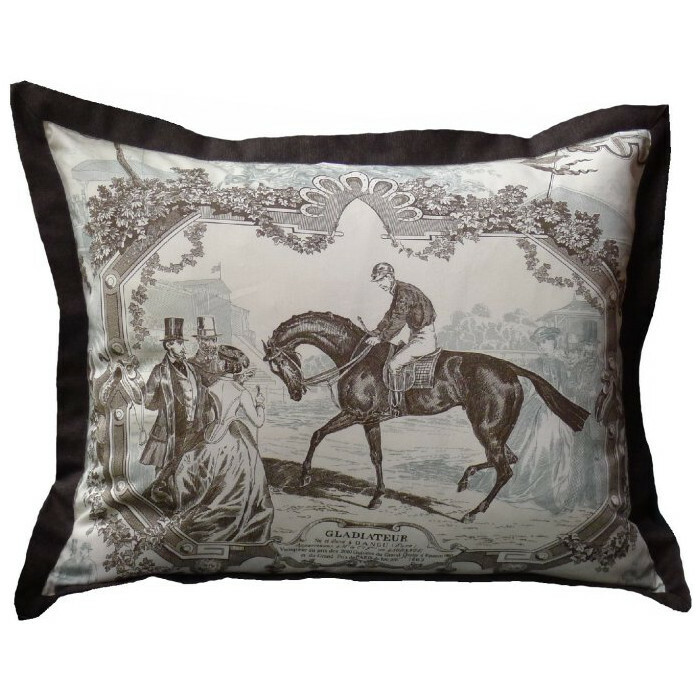 Black Amber Equestrian Toile appliqued to check, ticking edged pleated trim. 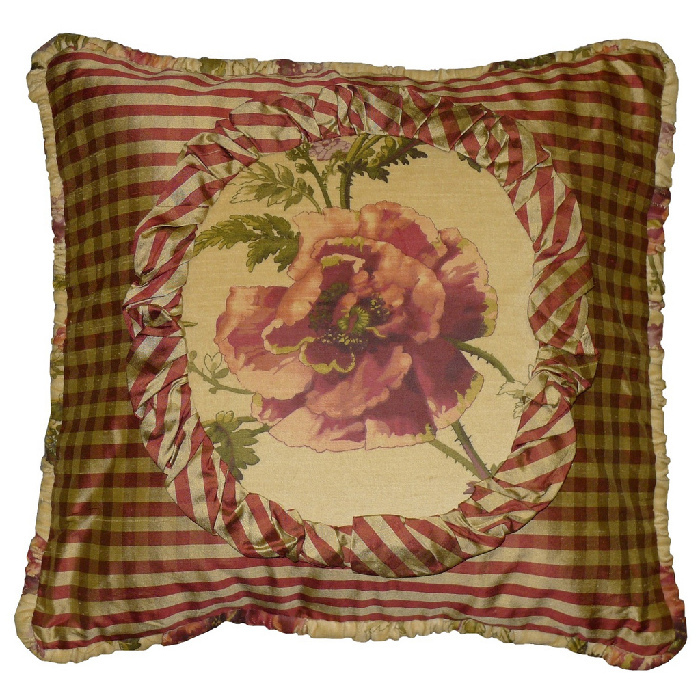 18×18 velvet rose center with silk check and ruche trim. 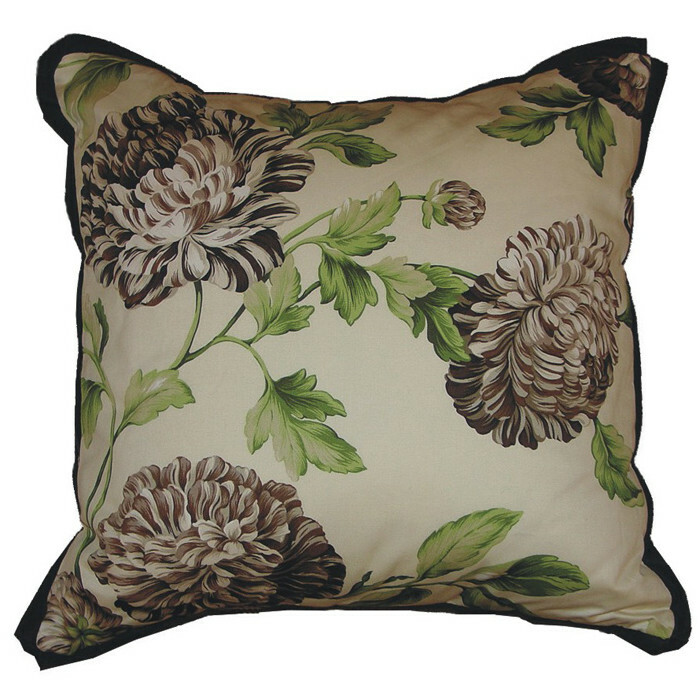 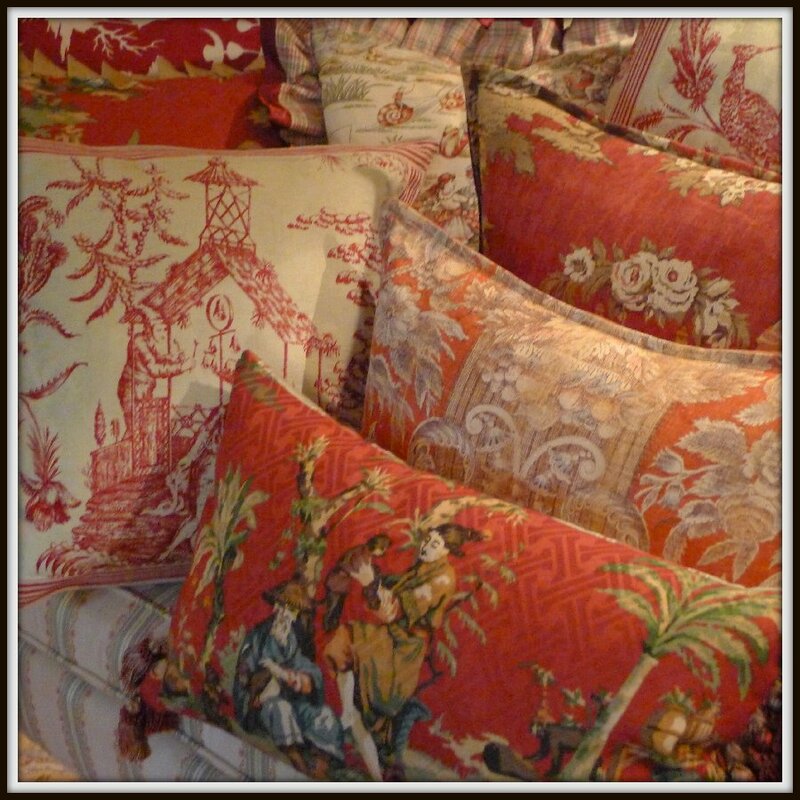 20×20 Dalby velvet floral with Ballard ruffle edged in silk check, silk check back. 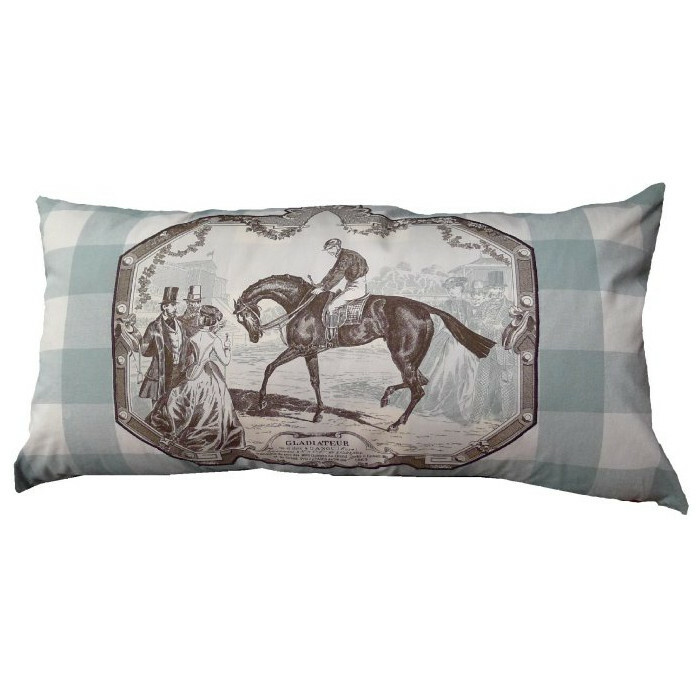 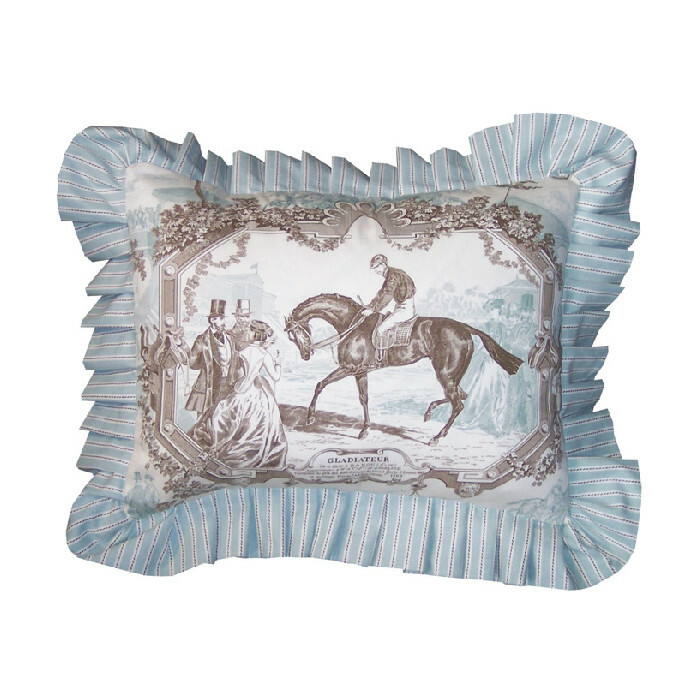 18×18 Charlotte print with chocolate border, brushed cotton back. 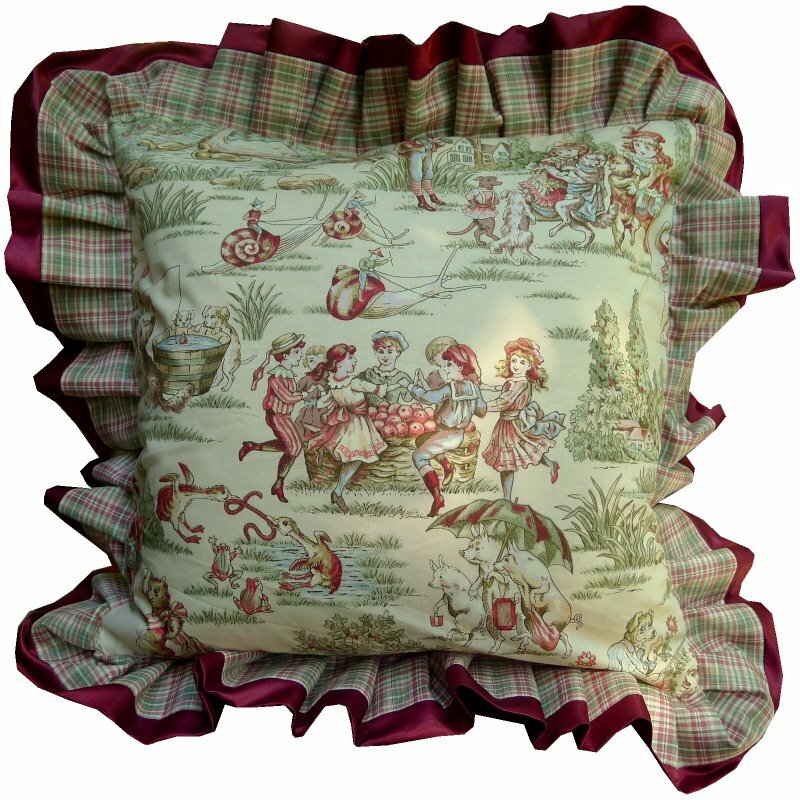 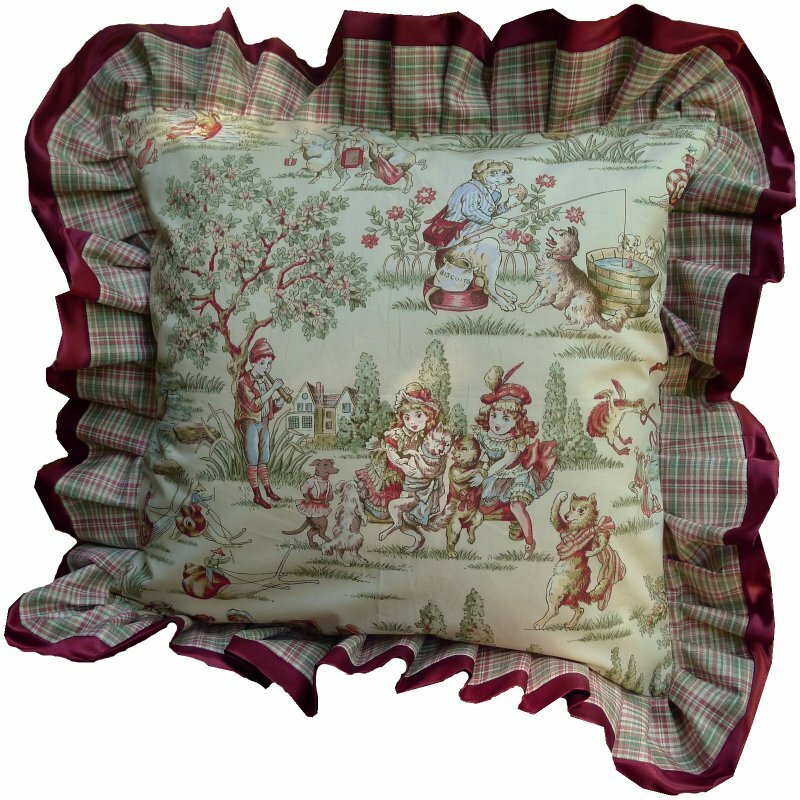 15×15 Children’s toile with bordered check ruffle. 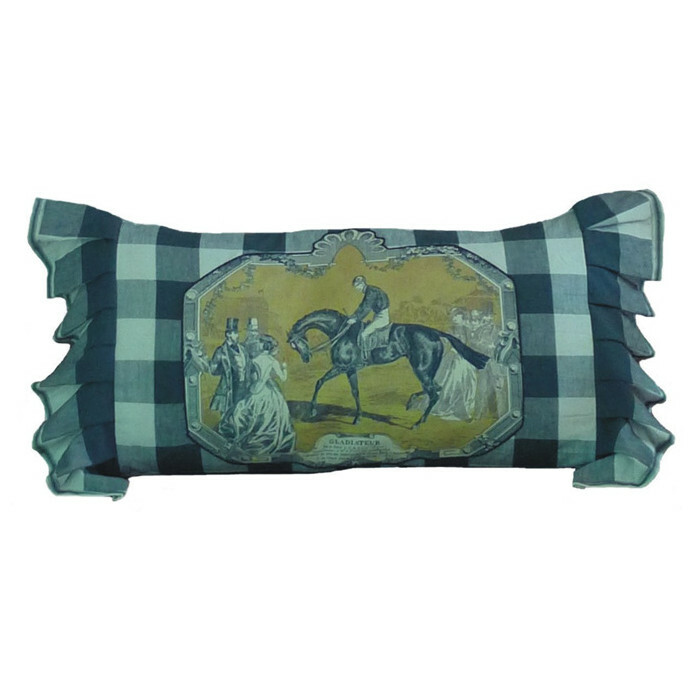 15×30 bolster, toile center, check sides and back, cord trim. 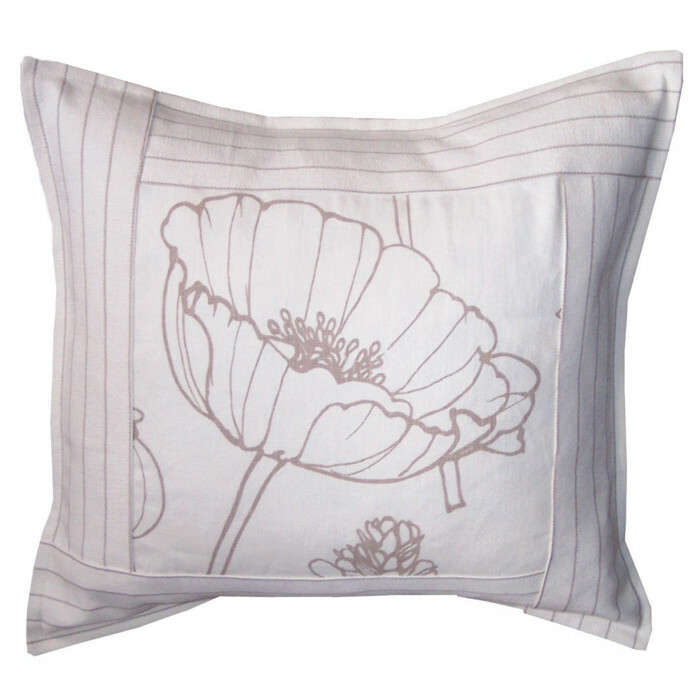 20×20 Poppy bordered in Lodi stripe. 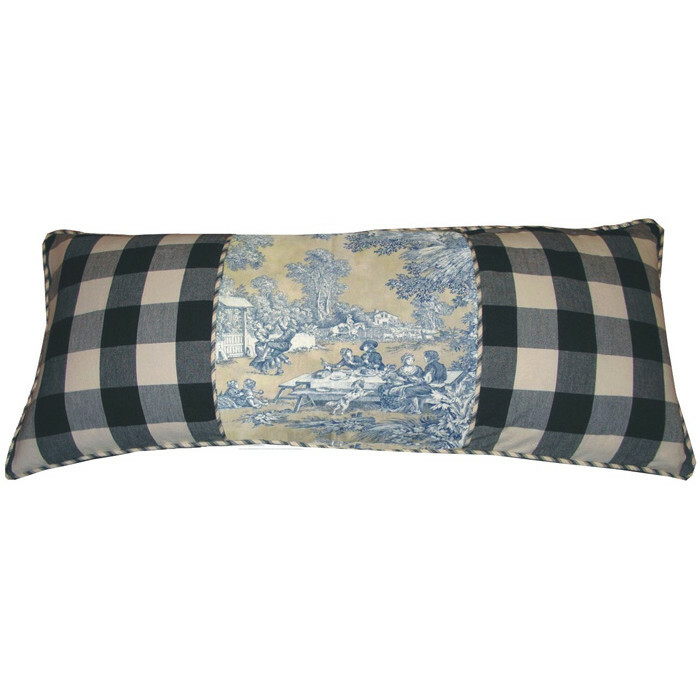 15×36 bolster of Irving Embroidery. 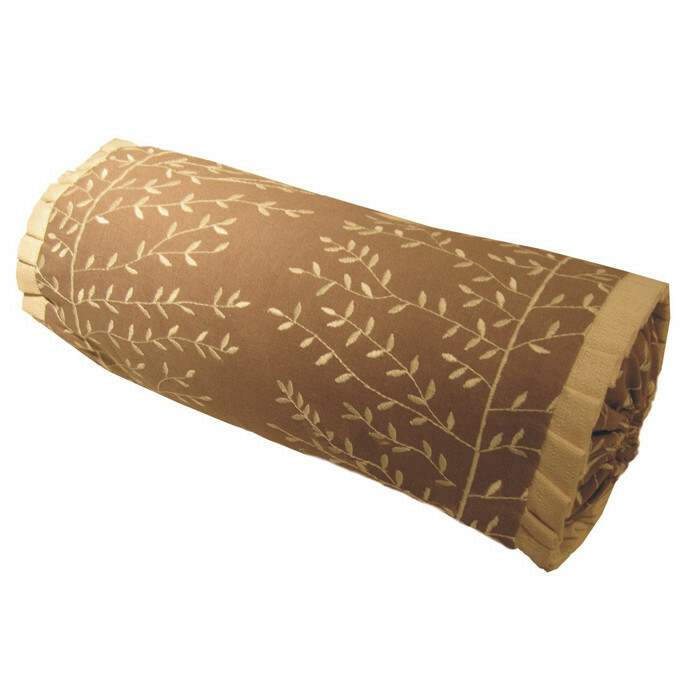 7×18 Neckroll of Irving embroidery with Birch trim. 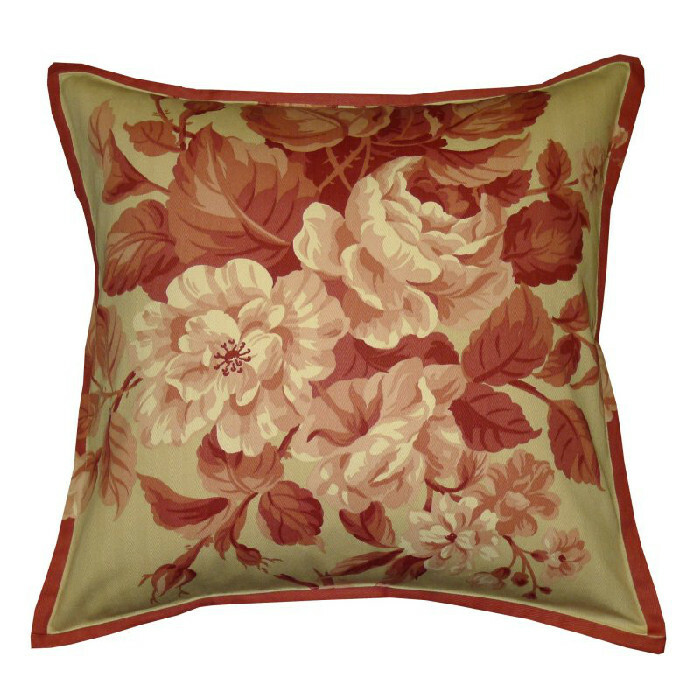 20×20 Ralph Lauren floral with narrow flange. 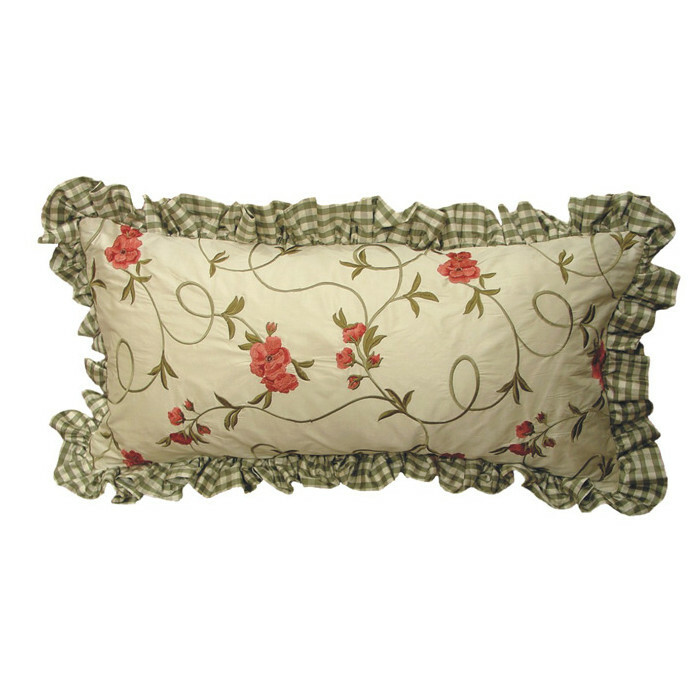 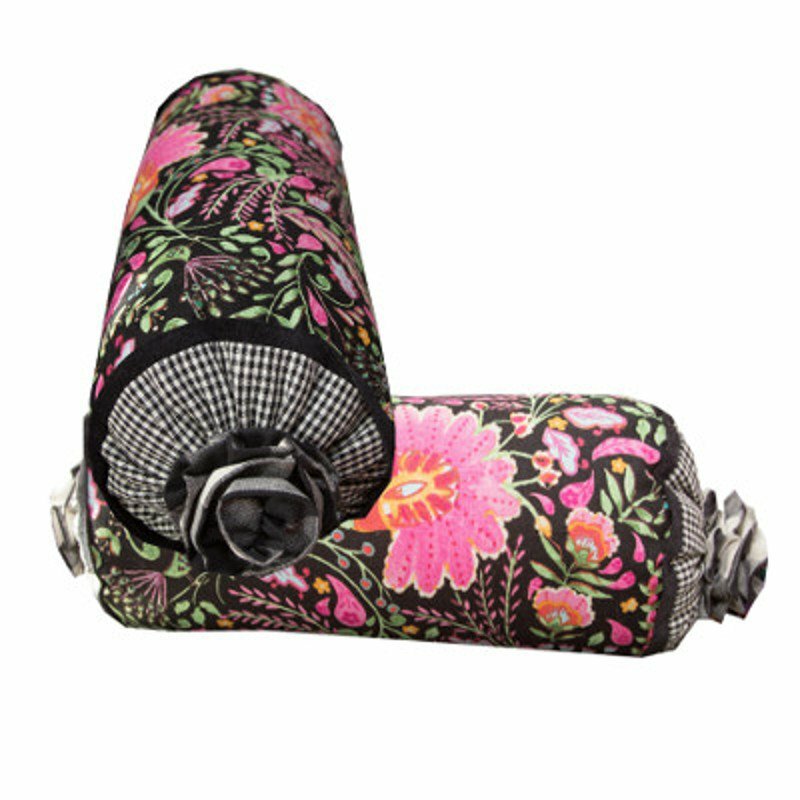 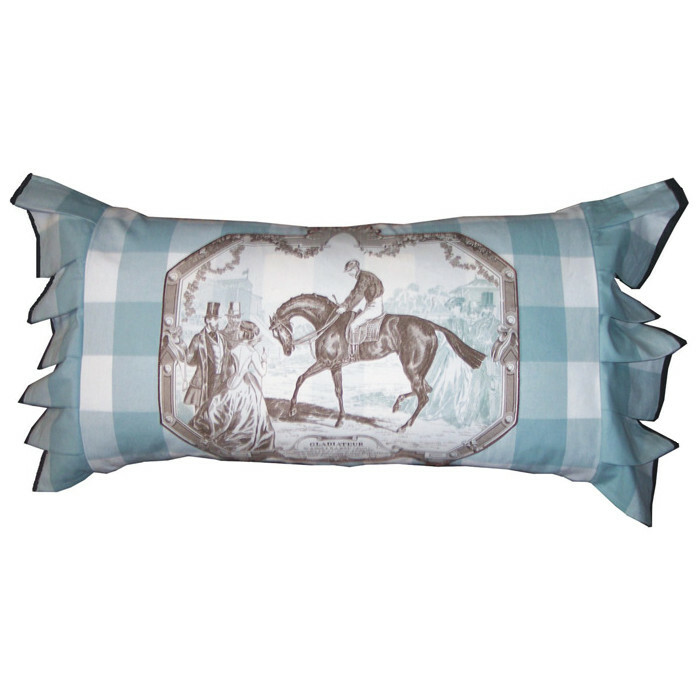 15×30 Embroidered silk bolster with silk gingham check ruffle. 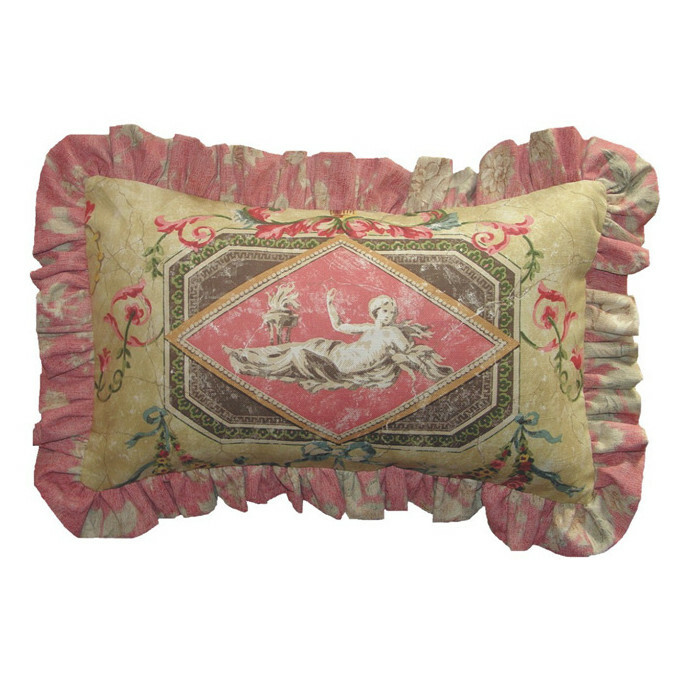 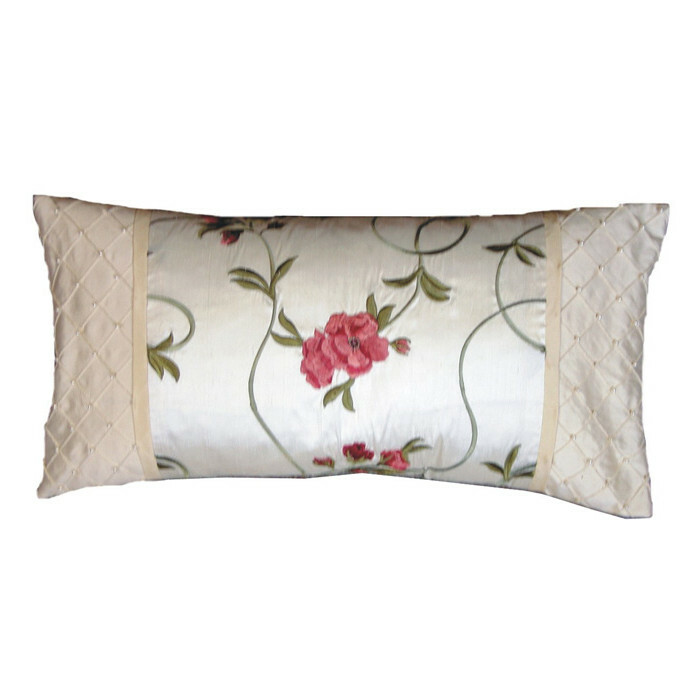 16×20 Embroidered silk Tea Rose pillow with cream stripe, ruffle trim. 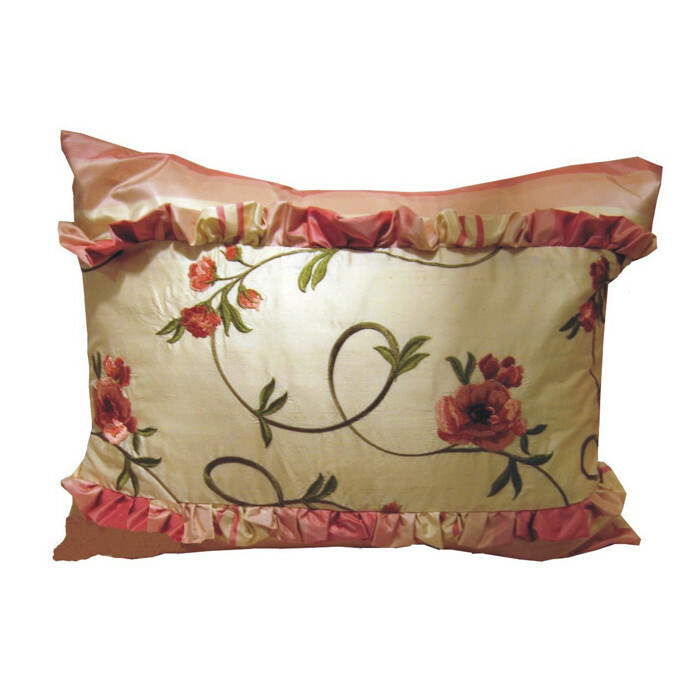 12×20 Embroidered silk rose center with beaded silk sides, solid back. 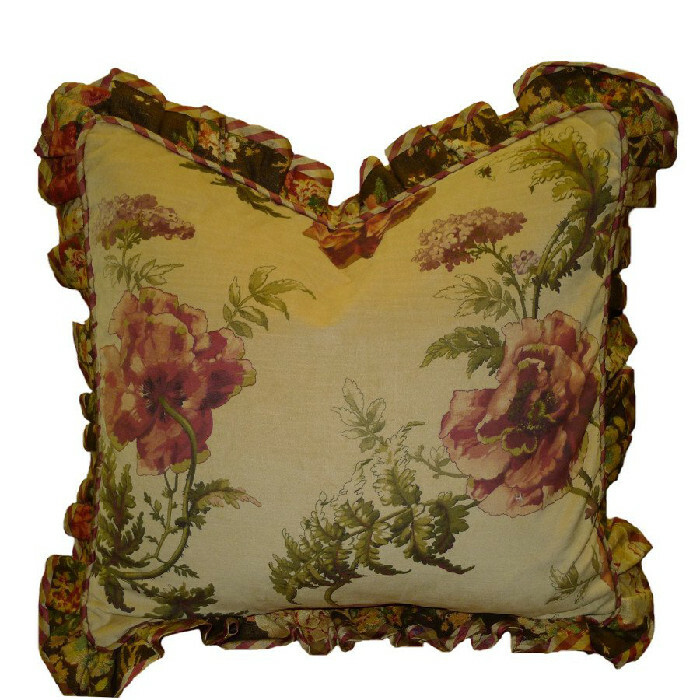 12×20 Yellow background Tuscany design with 2″ coral ruffle. 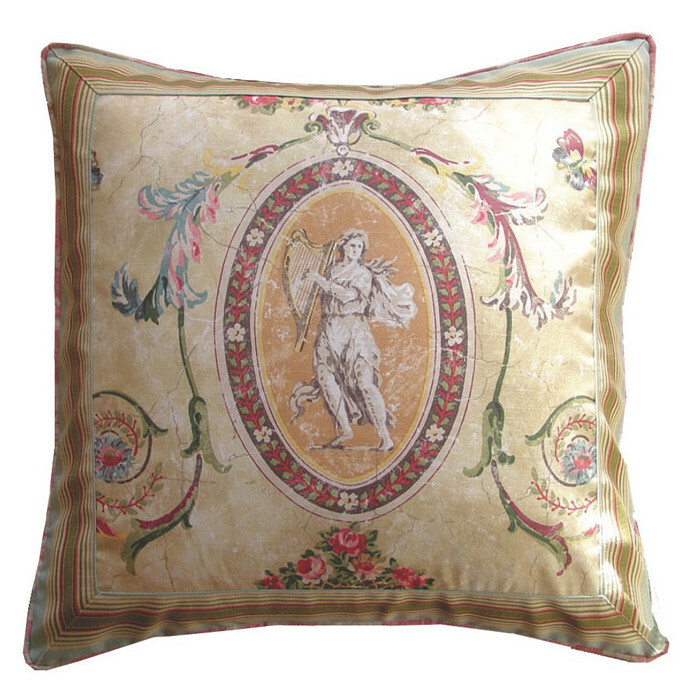 20×20 Yellow background Tuscany design with narrow flange. 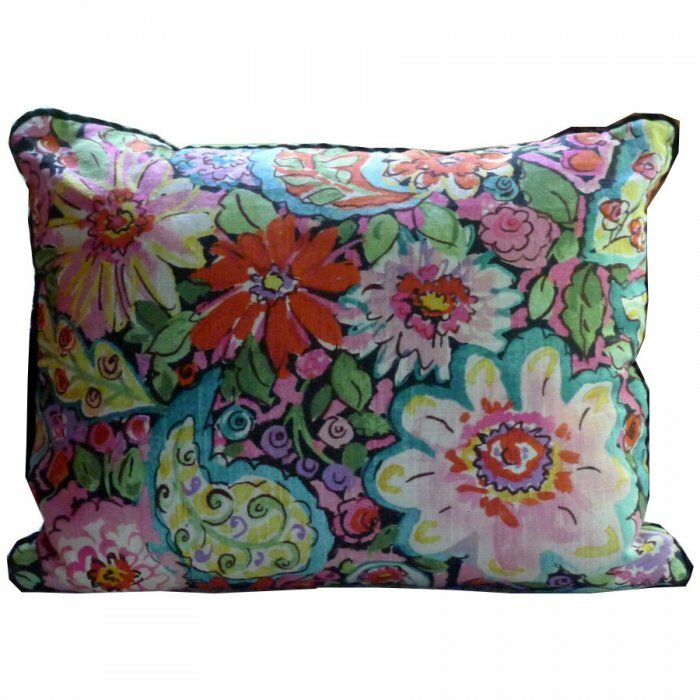 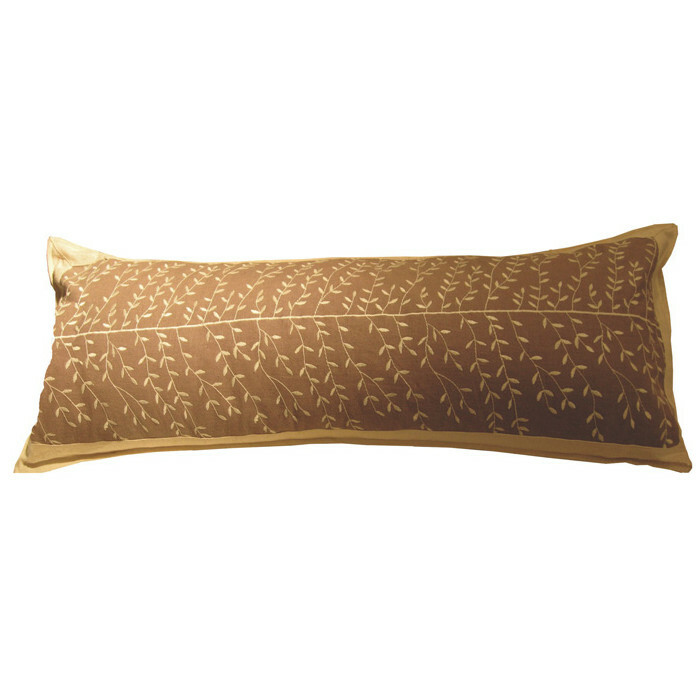 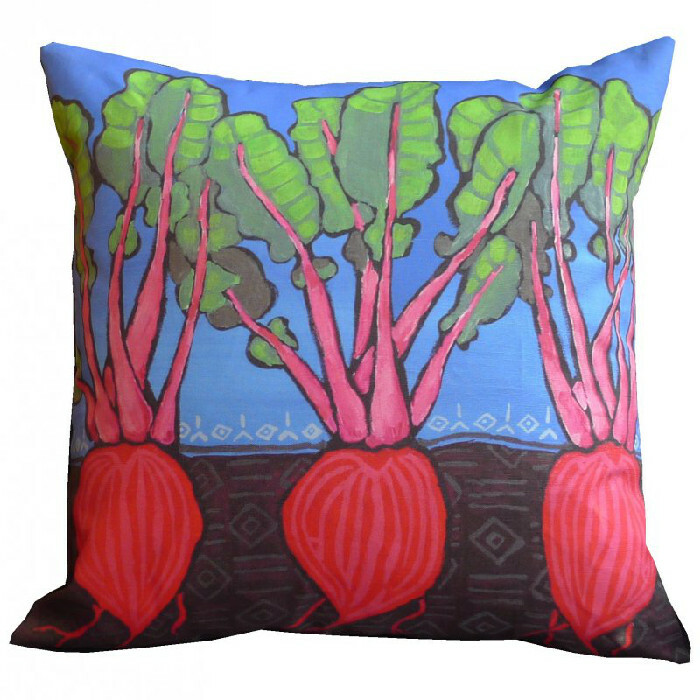 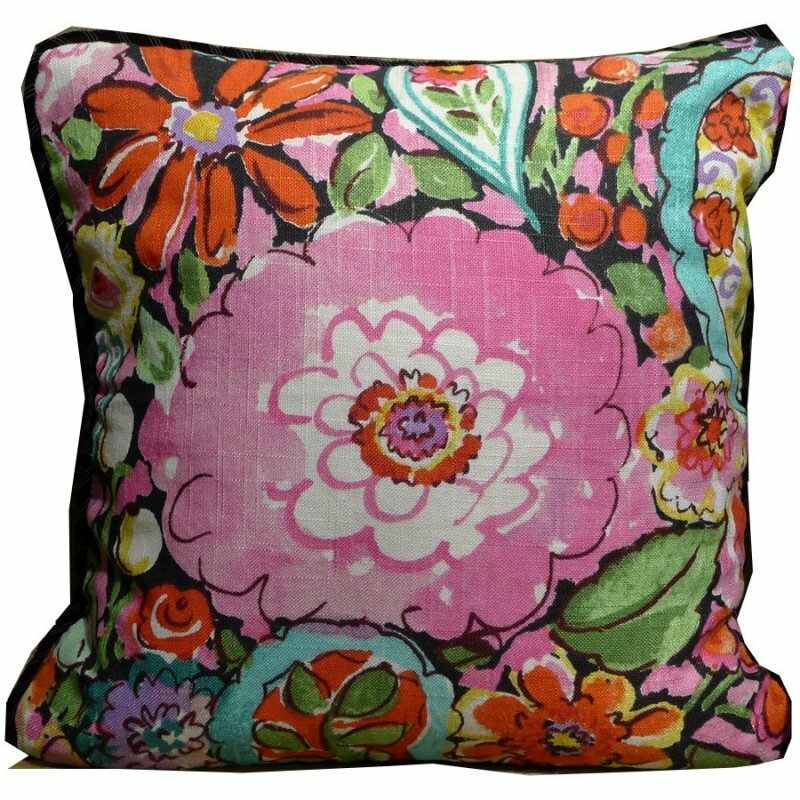 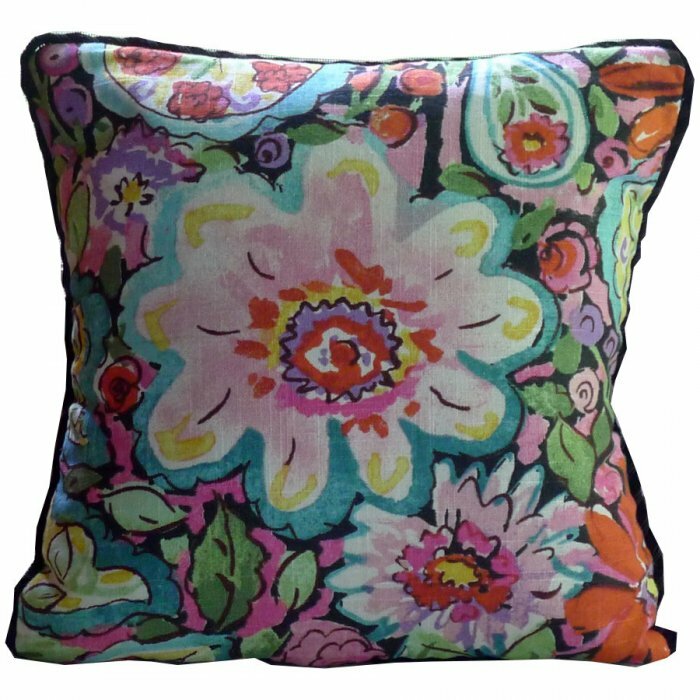 18×18 Beets pillow from original artwork. 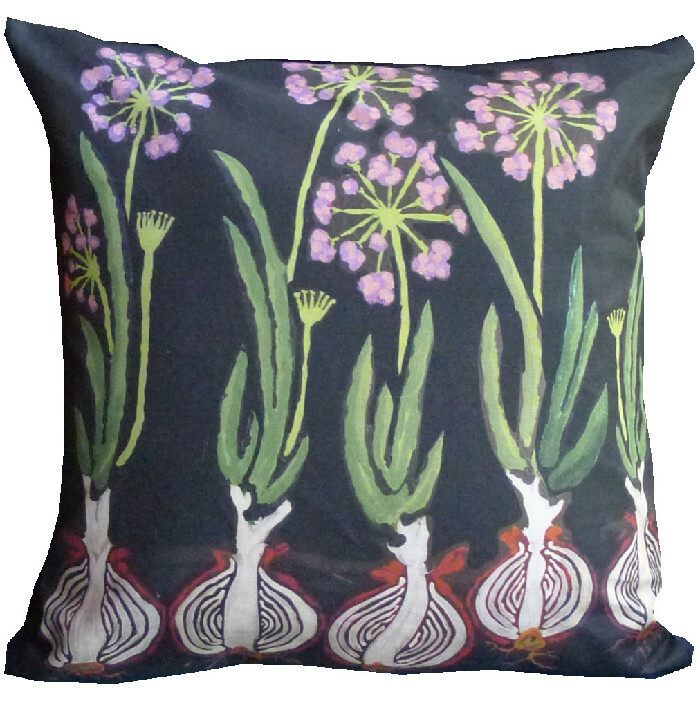 18×18 Onion pillow from original artwork.